I am currently between homes which basically means I am travelling back and forth quite a lot. With all this travelling you could say I have learnt a few tricks about how to build a neat Travel bag. If your like me you’ll end up using the same pool of make-up despite having a draw full of it. The key building a travel make-up bag is basics i.e. mascara, eyeliner, foundation, blusher and lipstick. Then its up to you to use these basics to achieve different looks. The first point of call for me in creating a Travel Make-up bag is switching to a more travel size bag. I found this red leather make-up bag in the John Lewis (its sold out now) and knew it would be perfect. Its by a Swedish company called Ordning&Reda there core values are design, quality, simplicity and inspiration. And that’s what I love about Orgning&Reda is the simplicity making this bag a staple that can be personalised or fit into your everyday style easily. I knew as soon as I unwrapped the packaging that my ‘Lego Wonder Woman’ keyring which I still had found a use for yet would look perfect secures on to the zip. This bag is small (about the width and height of my passport) but that makes it perfect for slipping into your handbag. I got this as a tester in Elle magazine quite a while ago and never got round to using it until I realised that it would be perfect as a travel size Mascara. 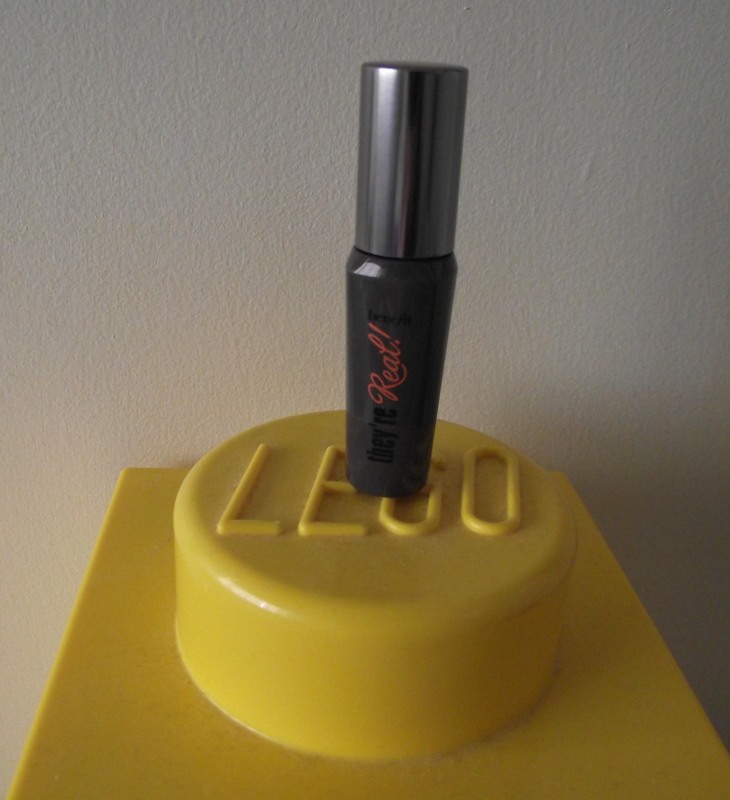 The packaging claims that 94% of people who used Benefit they’re Real in a consumer panel survey saw dramatic length and volume, I can’t speak for them but I have to admit this mascara definitely deserves its name as it gives dramatic length. Its has two faults in my opinion the first is how clumpy this mascara is if you want anything slightly natural only the bare minimum is needed. And secondly after a long day it can sometimes get flaky resulting in black speckles around your eye. But I do love the results it gives which is why it deserves a place in my travel make-up bag but I won’t be throwing the old one out which I have tried and tested. This is perfect for a night out as it gives you instead glamour. I recently brought this as I was tiring of my old gel eye liner which was difficult to apply, when I running late in the mornings I want something that is quick and easy to apply. 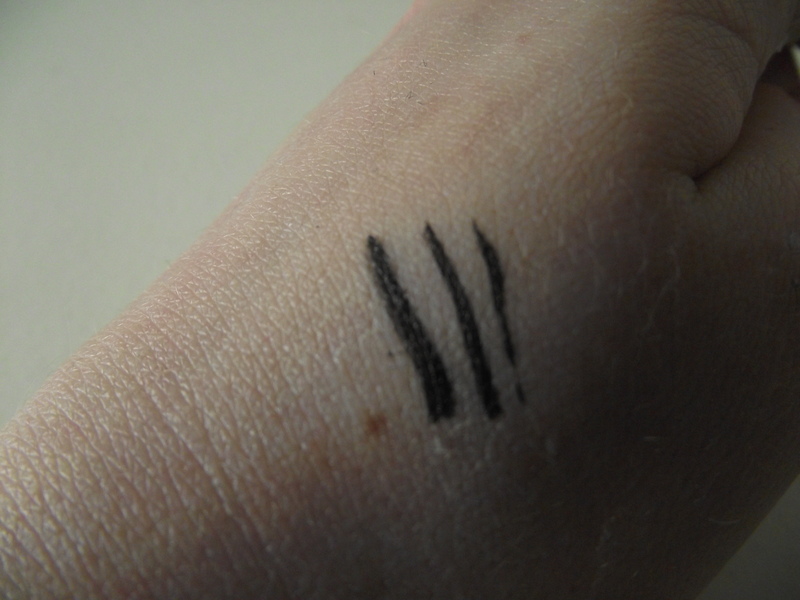 What I love about this eyeliner is its felt tip applicator which allows you to create an even line whether you are after a thick or thin line. Just like the label say. Given the varity in strokes that are easily achievable means that this is a new favourite and is perfect for a travel make-up bag as you can use this for both day and night. The image below shows me testing the lines you can create. The eyeliner claims to be waterproof and I’m not sure how I would test this fact without going underwater but it does last the whole day which makes it perfect for summer where my nature your skin will get hotter a lot more easier. As this is a new buy it will take some getting use to, to work out what I can do with this eyeliner but I am confident that I can achieve different eyeliner looks easily. I have always been a fan of Rimmel foundations as I love the scent they have and the coverage they give. There are only a few make-up brands go as white as I need and from the high street this is my must have pick. As you can see from the image below it blends perfectly with my skin tone while taking away that pinkish tone that I dislike. One thing I love about this foundation is the texture as its feels like moisturiser and sits on the skin beautifully. The make-up claims to have an SPF of 18 but I can’t really say whether this is true of not as I usually put suncream on first anyway. Foundation makes for a travel make-up bag essential as it is a very versatile product as it can be used as concealer, light coverage or all over coverage. 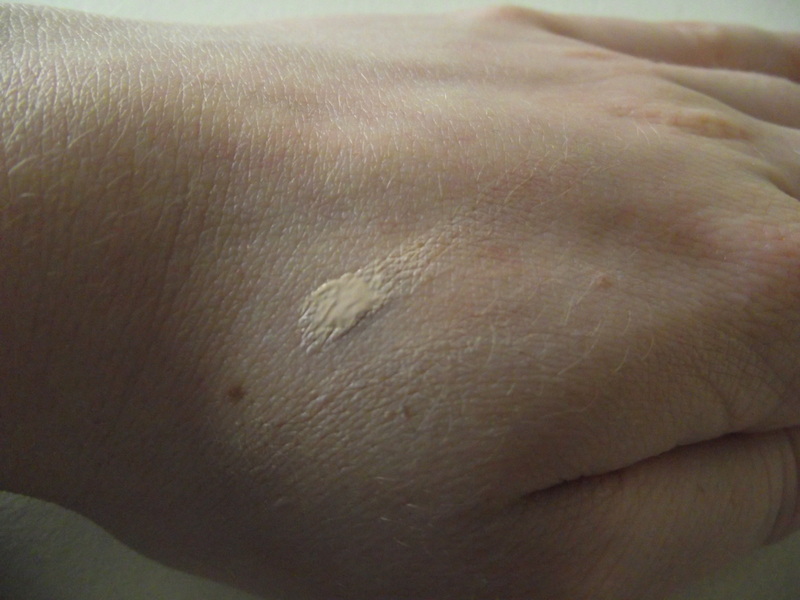 For everyday use I prefer to use it lightly either as a concealer or as light coverage which is why getting a skin match is so important to me. Blusher is a must for me as I can look a little washed out sometimes but at the same time I am a bit of a novice when it comes to applying blusher which makes this matte powder blush by REVLON in Perfectly Peach a perfect match for me, as it doesn’t go on to heavy (no one likes to look like a Russian doll). 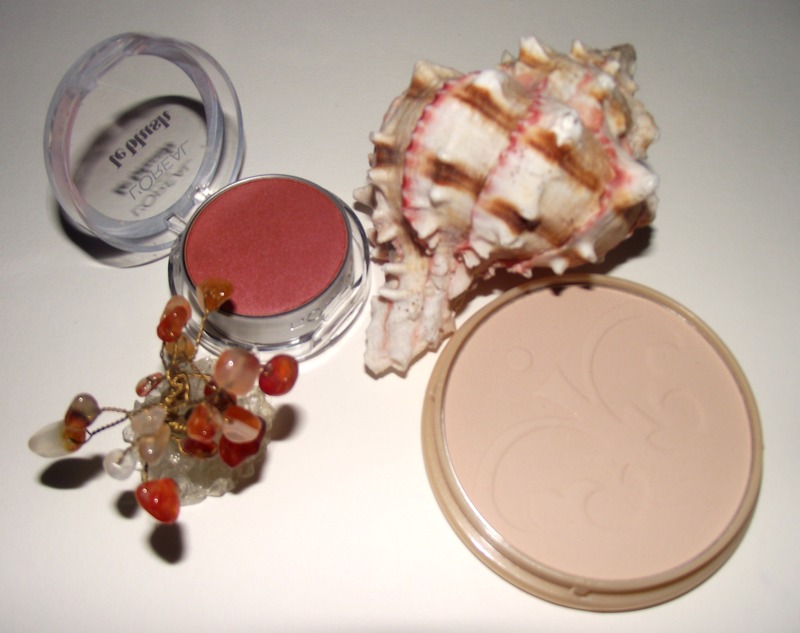 When it comes to blusher I prefer a gentle flush to give me a glow without pinching my cheeks. 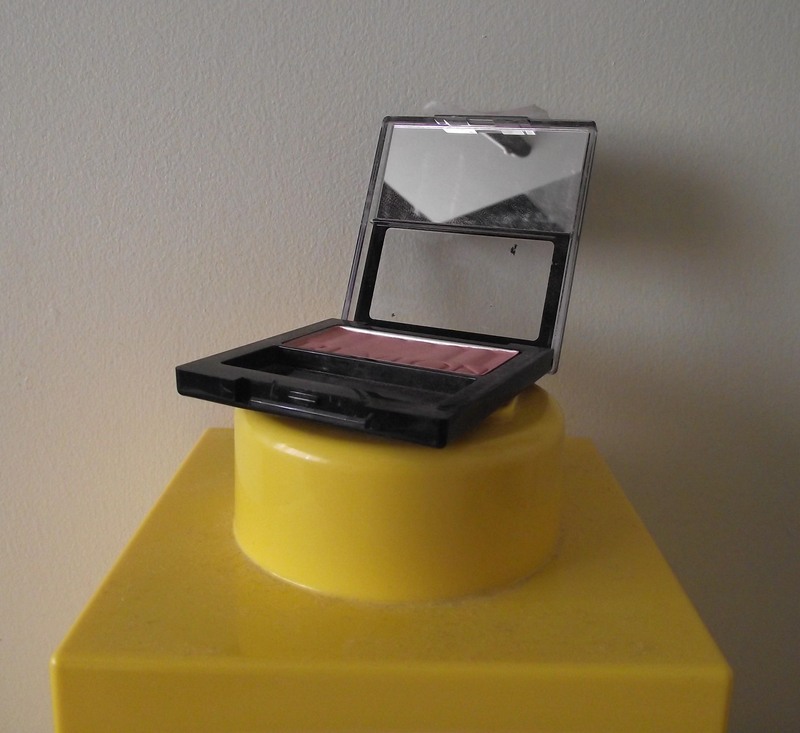 This compact comes with a brush (which as you can see I have lost) that works well to apply the brusher however if possible I do recommend using a blusher brush. Last but not least my Travel make-up bag essential is red lipstick as it can transform a look from day to night in an instant. What I love about this Mac lipstick is its staying power, I remember going to Macy’s in New York and trying out this lipstick, it was love at first sight but I told my self if it was true the lipstick would last. And it did this lipstick survived a day in the city and all the food that comes with it. I brought it that night. Its fair to say you don’t need a lot of it and I use this lipstick two different ways; firstly I apply it for full coverage to achieve the classic red lip look and secondly I dab it on and rub it in with my finger to give a just bitten or rose look. The weather might not be golden sunshine yet but that doesn’t mean we can’t have a touch of gold until then. The quickest way to brighten up any day is a quick splash of perfume which is why I adore my signature perfume J’adore Dior. It comes in this feminine gold bottle which reminds me of the female form and smells like a summers day with fresh notes of Bergamot and Jasmine. 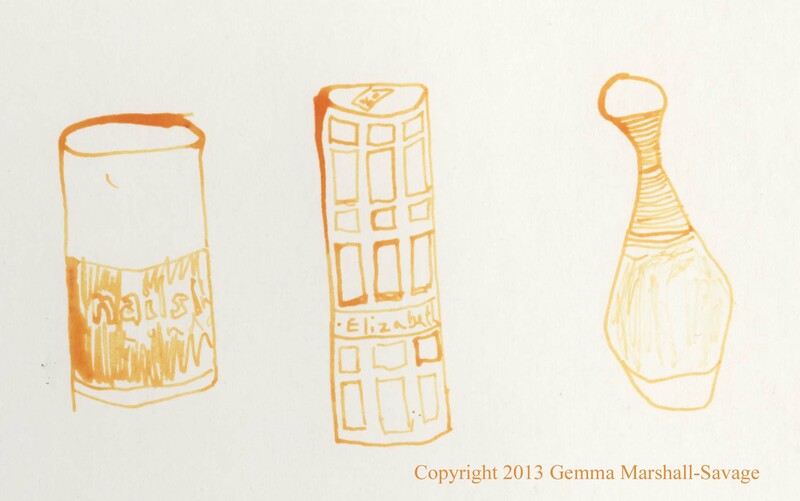 My go to lipstick at the moment is Ceramide Ultra Lipstick by Elizabeth Arden in Tulip just for the golden case which is simple divine and the weight it holds you know its a lipstick worth holding. 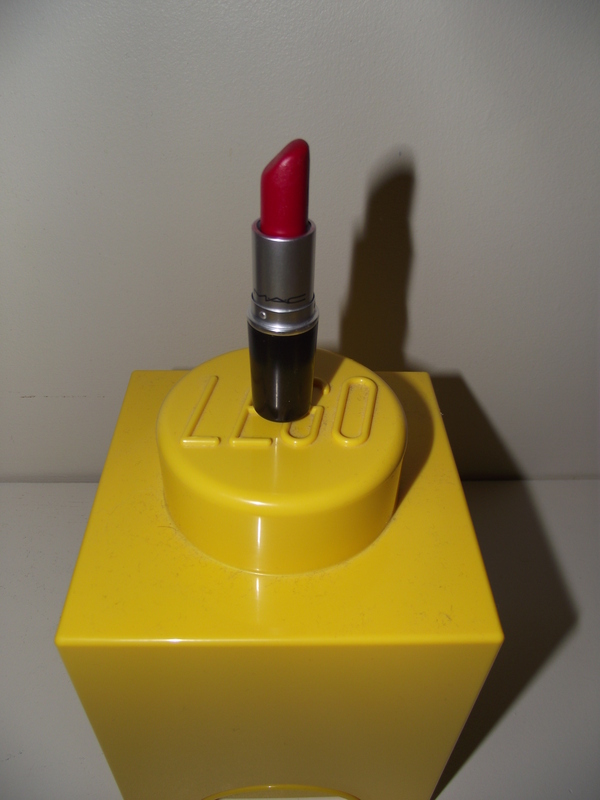 The lipstick its self applies smoothly with moist texture. Once applied the rosy pink colour lasts and can be blotted down if you simply want a soft natural-looking tint to the lips (which is how I usually wear it). It must be said that I have a slight addiction to Nail polish with good reason too as its the easiest way to change the mood of an outfit with minimal effort. I have to say as my anticipation for summer heightens my desire for the deep red (almost black) shade of nail polish fades. The solution? Chelsea Embankment by Nails Inc. Its a clear based glitter nail polish which sparkles to dazzle, and dazzles to sparkle to give you the golden touch. I would love to know what beauty picks brighten up your day. Is ‘bad’ taste the new ‘good’ taste? I recently read in a creditable fashion magazine that “Bad taste doesn’t exist” and in case you didn’t realise this fact is true. Taste like beauty is in the beholder; what one person finds beautiful another may not. This can also be know true about taste too. I am by no means condoning Ugg boots but it is true to say that the person wearing them is doing so because they find there choice tasteful. But all of this talk of bad taste and good taste has got me thinking what is the boundaries of bad and good taste and do they over lap? I like to think that they do. I enjoy glitter, psychedelic prints and quite frankly dressing up as much as the next girl. Is this bad taste? Well yes and no. Its hardly what I call tasteful if anything its what I would call distasteful. But its this bad mix of glitter, prints and bizarre make-up that quite frankly makes it so fun. and in this it finds its taste. This season’s Meadham Kirchoff says it all really its oh-so-wrong but in this it becomes oh-so-right. I don’t know about anyone else but I’m bored of grey. And what better way to brighten up a cold and dizzily English day? Its the fact that the model looks like she has just rolled out of a fancy dress shop bind folded that makes this look work. Oh Louise Louise there is nothing Gray about you. The above image is from her Autumn/winter 2012 and will brighten up any rainy day bringing back nostalgia of the swinging 60’s. This capture the term psychedelic and is a nod to pop rock. Just look to the Mario Testino photoshoot for vogue “Colour fest” which just goes to show that bad taste really has hit the main stream which add the question – What are the boundaries for bad taste? If there any. The whole photoshoot consisted of clashing prints, pop colours and a bizarre twist on hair and make-up with a rather out big hello to Bridget Riley. I want to know what you thing can bad taste be tasteful? I think so but what about you?